Status: Contest finished on 17-02-2010. The German artists EgoDrums are running a remix contest offering the opportunity to remix their track “Rush”. The winning tracks will be released and promoted by Crunk Zone Records. 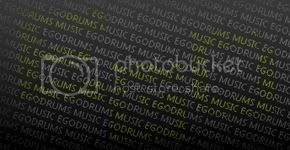 Egodrums starts a remixcontest to their new single “Rush” which will be released on spring 2010. Egodrums will choose two to four remixes of all submitted remixes. The winning tracks will released and promoted by crunk zone records. The deadline is the 17th february 2010 at 11:59 pm. Upload your track to a free filesharer like http://zippyshare.com/ as a mp3-file (320 kbit/s) and send the downloadlink to remix@egodrums.de. Note that we need the original WAVE-file from your remix when we decide us for your remix.